Passion is Pires's keynote. With intensity and drama she relishes Chopin's central storms, creating a vivid and spectacular contrast with all surrounding serenity. Pires makes you hang on to every note, and with her burning clarity she has reinforced our sense of Chopin's stature and created a new range of possibilities. Maria João Pires is among the most eloquent master musicians of our time. "Passion rather than insouciance is Pires's keynote. Here is an intensity and drama that scorn all complacent salon or drawing-room expectations. 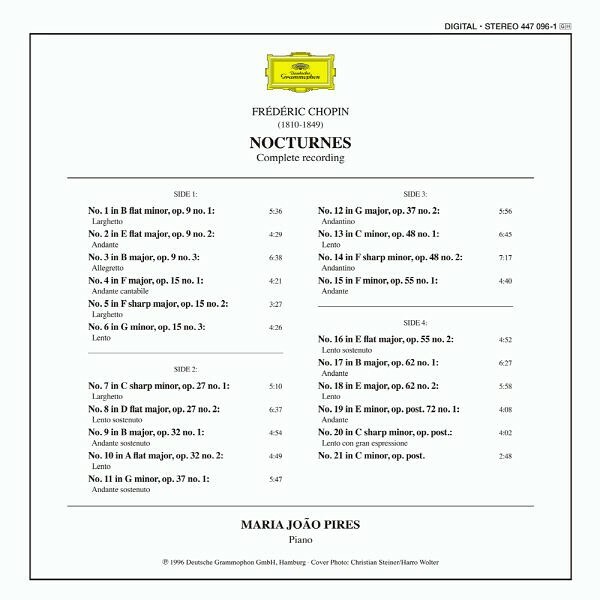 How she relishes Chopin's central storms, creating a vivid and spectacular yet undistrionic contrast with all surrounding serenity or 'embalmed darkness'. The con fuoco of Op. 15 No. 1 erupts in a fine fury and in the first Nocturne, Op. 9 No. 1, Pire's sharp observance of Chopin's appassionato marking comes like a prophecy of the coda's sudden blaze. Chopin, she informs us in no uncertain terms, was no sentimentalist. "More intimately, in Op 15 No. 3 (where the music's wavering sense of irresolution led to the sobriquet 'the Hamlet Nocture') Pires makes you hang on to every note in the coda's curious, echoing chimes, and in the dolcissimo conclusion to No. 8 there's an unforgettable sense of 'all passion spent', of gradually ebbing emotion. 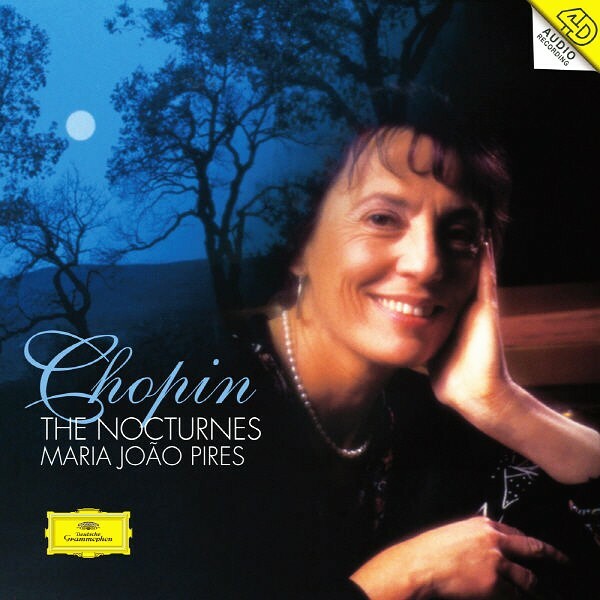 Pires with her burning clarity has reinforced our sense of Chopin's stature and created a new range of possibilities (showing us that there's life after Rubinstein).